The most popular database is a relational database. 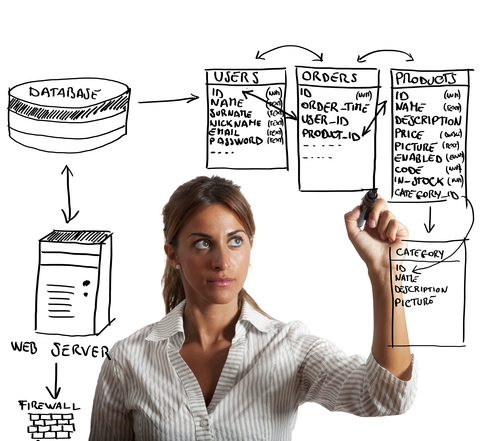 The structure of a relational database is a collection of data items in two or more two-dimensional tables related to one another. The data is stored in tabular form and easily accessible through table names, primary key values, and column names. Second normal form states that all columns of a table are dependent on the full primary-key column, not just part of the key. A table is in 2NF only if it is in 1NF. Second normal form attempts to reduce the redundancy in a table by breaking the table further to separate duplicate data. If any of the fields in the table are dependent on just part of the primary key, these fields are moved out to form another table. Inserting, updating, or deleting data in the table, should not lead to any inconsistencies. A table is in 3NF only if it meets the requirements of both 1NF and 2NF. If there is data that does not directly relate to the primary key, these columns should be removed. Non-key fields do not depend on other non-key fields in the table. IBM developed SQL in 1970, originally called SEQUEL (Structured English Query Language). Relational Software, Inc. first implemented SQL commercially in 1979, and is known today as the Oracle Corporation. ANSI, the American National Standards Institute, published the first set of standards on SQL, and it has had several revisions since then. SQL is predominant and accepted as the industry standard database language, supported by most major DBMSs. All SQL programs are portable among most DBMSs. 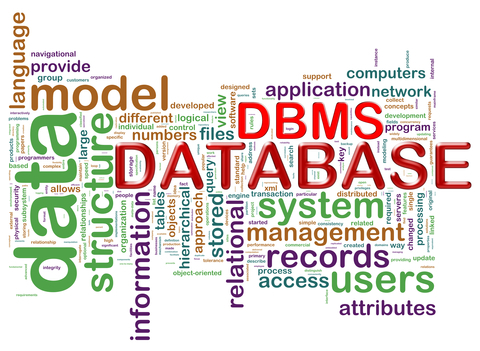 There are slightly different rules for coding SQL in some DBMSs. The code requires minimal modification for portability. DML, Data Manipulation Language, enables you to retrieve, update, add, or delete data in a database. DDL, Data Definition Language, enables you to create and modify the database. For example, the ALTER statement lets the database table design be modified. DCL, Data Control Language, maintains security for the database. SQL keywords are considered reserved and can only be used for querying the database. The keywords cannot be used to name a database, table, column, or any other part of the database or program. A query is a command asking about data from the database in order to extract the data. The syntax rules are very important and must be followed so as not to receive a system error.